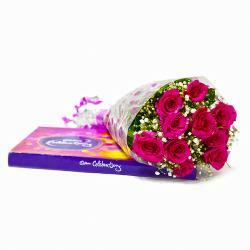 Product Consists: Bouquet of 10 Yellow Roses with lots of green fillers along with Cadbury Celebration Chocolate Box (Weight : 119 Gms). 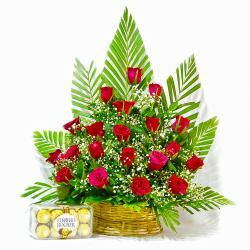 Finding this gift pack attractive is quite natural if you are a fan of flower Combos. This lovely gift combo is perfect for you. 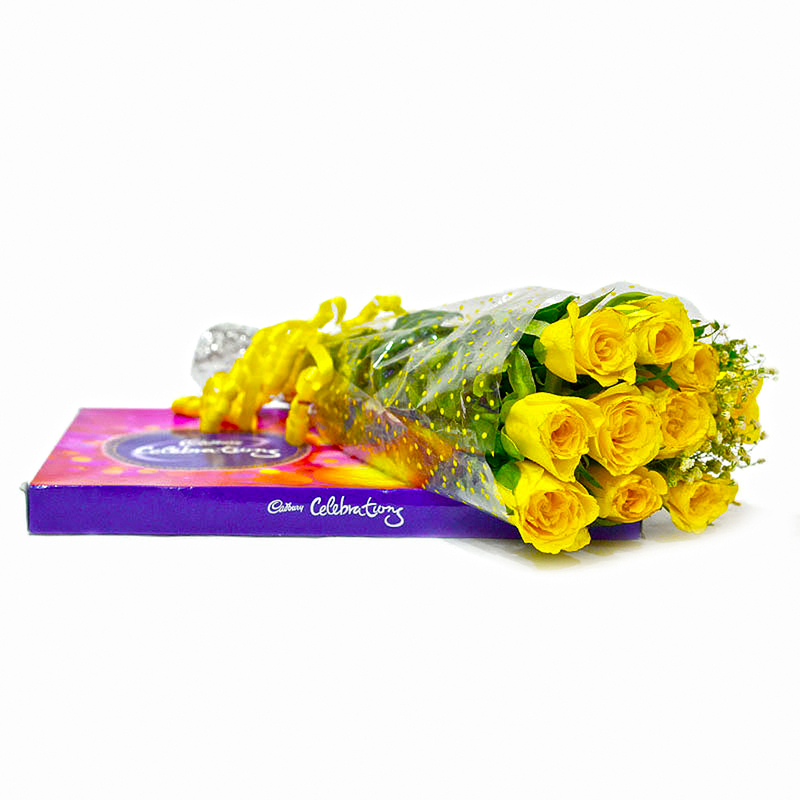 This pack contains beautiful bunch of ten yellow roses that look resplendent this promise to soothe the senses of recipients with surprise. These .yellow roses have been immaculately packed in high end cellophane paper for added elegance and style. There is a matching ribbon bow placed on top for added style and effect. 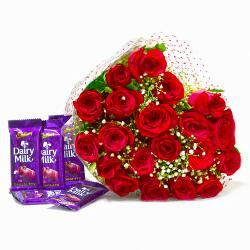 Cadbury celebration chocolate pack Aad alluring effects and delight the recipient surely. You can use this pack for special occasions like Birthday, Anniversary, Housewarming, Baby Shower, Baisakhi, Republic Day and even Valentines Day if you wish. You may also send Gifts to India to your near and dear ones through Giftacrossindia. This gift hamper contains : Bunch of 10 Yellow Roses with lots of green fillers along with Cadbury Celebration Chocolate Box (Weight : 119 Gms).